I’m often asked about some of my favorite products. I decided to put together a resource guide with links to make it easier for you guys. Who wants to search the site for some obscure product I recommend. Many of the products on this list are affiliate products. This means that if you click on my links I may receive a commission from your purchase. I only recommend products I know and trust and you will not be charged extra when using my links. $5 Meal Plan – My all time favorite meal planning program. I’m all about simple and easy to use programs and this one fits the bill and is very economical. Most importantly, they are all meals I can easily cook. I hate cooking so this is a big deal to me. 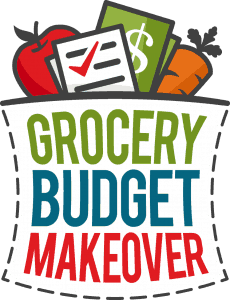 Grocery Budget Makeover – watch for a future post review of this program. I took this class earlier this year. I thought I was good at finding deals and being a cheap/frugal grocery shopper. Once I began implementing the skills I learned my grocery budget dropped by $100-150 per month. I highly recommend this class. Personal Capital – This is my go to program for tracking my spending and net worth. I love their retirement planning tools and the analytics they provide are amazing. Read more about why I use Personal Capital to manage my retirement analytics. Digit – This is my new cheater way of saving money. Once you hooked Digit to your checking account, their magical algorithms will calculate the extra money in your account and transfer it to a separate saving account. It is one of the easiest ways I’ve found to save some extra money. Check out my review – Digit Review: How to Automate Your Saving Plan in 5 Minutes. Thredup – My cheater way of dressing in style without blowing my budget. Thredup is an online used clothing store. They only resale clothing in excellent condition and you can get some amazing deals. Check out my review here: How To Cheat Your Clothing Budget And Dress In Style. Ibotta – The Grocery Store App I use to save an extra $10-30 per month. Scan your receipt after your grocery trip, do a quick search of the store to find relevant coupons and then claim them. It typically takes me 2-3 minutes to complete after each trip to the store. On a side note, this isn’t just a grocery app anymore. Ibotta now has stores like Best Buy, World Market & Amazon. If you sign up with my link, you’ll get an $10 bonus and so will I – Win/Win!